Story written by Mariko Beck for Fordham Magazine. Two sets of identical twins, accidentally mixed up as babies, were raised as fraternal twins, then serendipitously reunited as adults. When Yesika Montoya, GSS ’05, caught snatches of a breathless TV account involving two sets of identical twins in Columbia, she thought the news story sounded like a telenovela. Montoya, a psychotherapist and licensed clinical social worker, had been organizing a closet in her New York City apartment while a Colombian TV station played in the background. She had grown up in Bogotá with an aunt and uncle who are fraternal twins and cousins who are identical triplets, so the topic of twins has always piqued her interest. But this report—about twins discovering at age 25 that one in each pair had been accidentally switched as babies—seemed too improbable to be true. Because identical twins share 100 percent of their genes, they provide valuable information about genetic and environmental influences for medical and psychological research. The Columbia twins were even more ideal as research subjects since the two sets had been raised in starkly different settings, which opened a fascinating window into how identities are shaped by nature and nurture. Though they’d never met, Montoya decided to contact Nancy Segal, Ph.D., a psychologist and behavioral geneticist known for her groundbreaking research on twins. 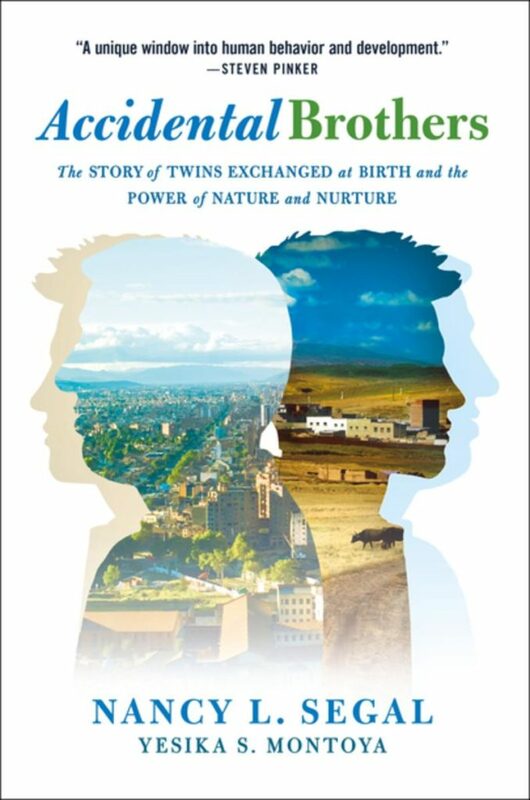 Over the course of six rapid-fire emails, they decided to join forces on an extraordinary research project that resulted in the new book Accidental Brothers: The Story of Twins Exchanged at Birth and the Power of Nature and Nurture. Until the Columbia case, there had been only seven recorded instances of switched-at-birth twins. This was the first known case of two sets of identical twins being split up, reared apart, and then reunited as adults. 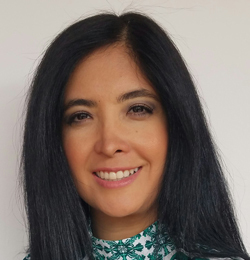 A practicing psychologist in Bogotá, Montoya came to the U.S. in 2001 to study at the English Language Institute at Wheeling Jesuit University in West Virginia. Missing big city life, she moved to New York to attend Fordham. After graduation, she worked in varied settings as a clinical social worker, including with immigrant families and with Sept. 11 rescue, recovery, and cleanup workers. It took all of Montoya’s clinical skills, compassion, and resourcefulness to conduct the twin study. Segal laid out what she would need to do, which included personality questionnaires, health histories, IQ tests, more DNA tests, individual interviewers, and small group discussions. In December 2014, she flew to Bogotá to meet the twins and ask them to participate in a study. They said yes. 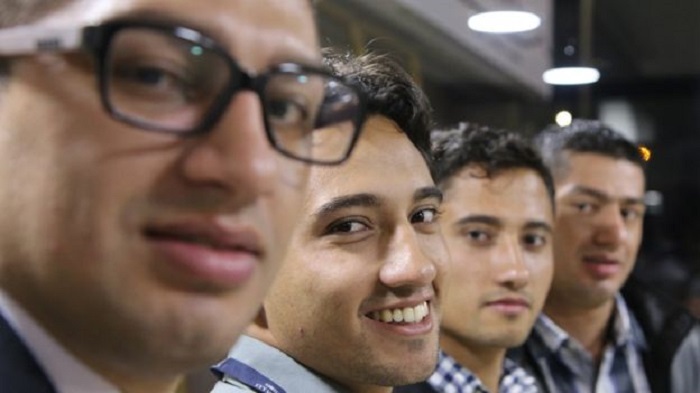 Jorge and Carlos were raised by a single mother and her close-knit family in a working-class neighborhood in Bogotá. Both attended good public schools and went on to college, where Jorge studied mechanical engineering and Carlos studied finance. Wilber and William grew up 150 miles from Bogotá on a farm with no running water or electricity. They attended school until they were 11, walking an hour each way over rough terrain. Then they worked full time on the farm. After compulsory military service, they worked at a butcher shop in Bogotá. That’s where a woman spotted William and mistook him for his identical twin, Jorge, her friend and co-worker. That encounter led the four to discover the truth, that the twins who grew up together weren’t twins at all—they weren’t even related. The revelation upended their lives. Jorge and Wilber, who grew up with their biological families, worried about losing the close ties with the twins they’d grown up with. William pondered the hardships of his rural upbringing and the more difficult path he took to get an education. He eventually passed the high school equivalency exam and enrolled in law school in 2016. Carlos grappled with the unanswerable question of what he’d be doing today if he’d grown up on the farm. And both William and Carlos dealt with the profound emotions that accompanied meeting new biological relatives as well as the fears that relationships with non-biological family members would change. In short, they were overwhelmed. In the spring of 2015, Montoya and Segal spent 10 days with the twins in Colombia. The most eye-opening part of the trip was a visit to the farm—not only for the research team but also for city slickers Jorge and Carlos. To reach the farm required a grueling hour-long trek through knee-deep mud. This was the key to understanding how much Wilber and William overcame to achieve what they had, Montoya said. “When they experienced that, it was admiration for these children who had to walk twice a day in order to get a fifth grade education,” she said. After working with the twins, which way did Montoya lean—toward nature or nurture? Do genetics or environment matter more when it comes to upbringing and personality development? “I don’t think I’m into one versus the other,” she said, pointing to the book’s subtitle. “That’s why we use the ‘and’—nature and nurture. Montoya has been impressed by the resilience of the twins. 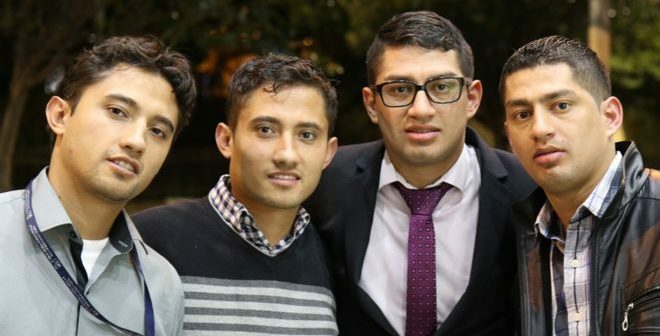 All four refer to each other as brothers, even Wilber and Jorge, who have no familial or biological ties. Instead of focusing on the trauma of the situation, they’ve chosen to concentrate on what they’ve gained. “They are really amazing muchachos,” she said.